I received a lovely email and photo from a customer today, she gave me permission to share with all of you. Thank you Diane W! 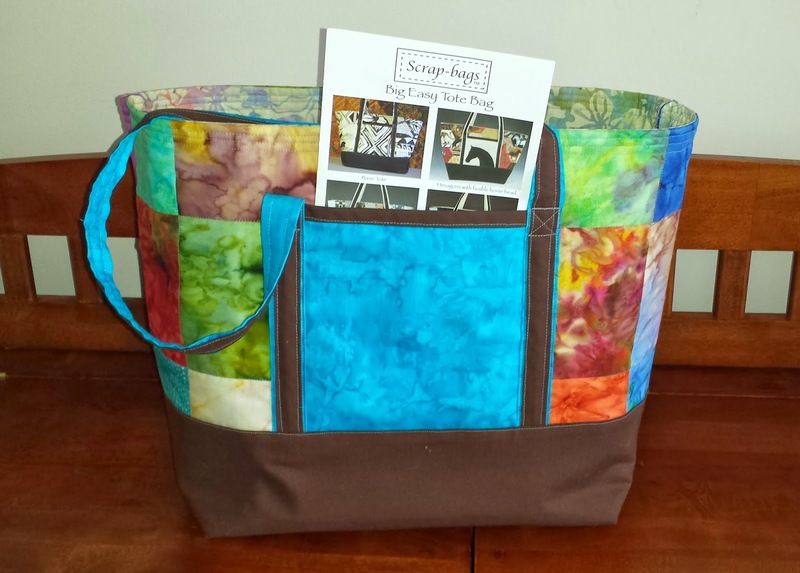 "Here is a picture of my Big Easy Tote! I am so happy with this bag! I have made bags before with regular sewing patterns and found them very difficult, although the end products were nice. I found this pattern in a sale bin at a quilt shop. It was exactly what I was looking for! I made it from a sampler package of batik charm squares I was trying to figure out what to do with. This is going to be my project bag to take on quilt retreats. It is perfect!"